If you would like to change a passenger’s name, edit their date of birth or change anything else then you can follow the steps below. If you would like to add or delete a discount card click here to find out how. Please note: that the information below only is applicable for before you book your tickets. 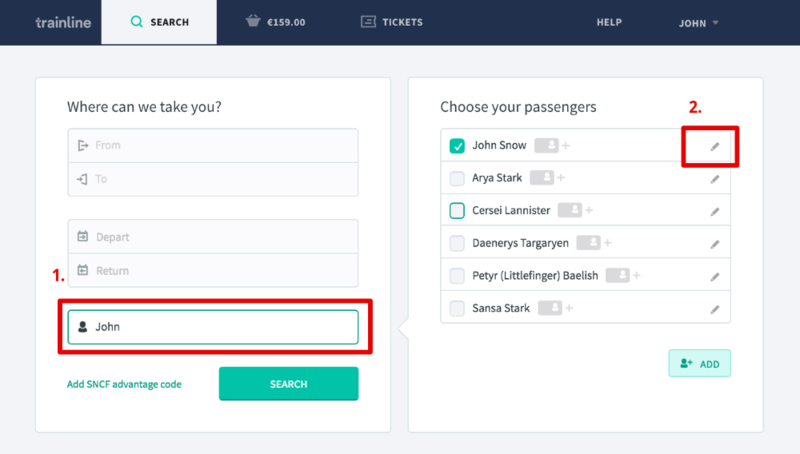 It is not possible to change the name on your ticket by editing your account information. If you wish to change the name on your ticket, please read this article first. Click on all of your passengers (step 1). 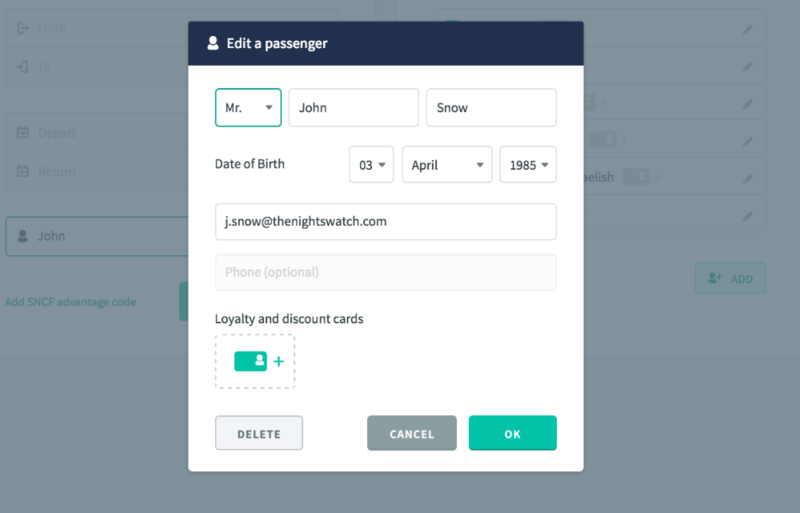 Then click on the individual passenger (step 2) that you wish to edit. From here you can edit or add any necessary details such as the name or date of birth. If you wish to delete a passenger, click on ‘Delete’ on the bottom left corner in the window pictured above.